Looking for private in-home or in-studio lessons? Our Bolingbrook teachers are ready to get you started. Find your teacher today! Can't find a teacher in Bolingbrook? The average cost of 60-minute crafts & hobbies lessons in Bolingbrook is $79. While the exact cost will vary depending on the teacher, type of lesson, and your location, you should expect to spend anywhere between $70 and $89 per hour. For the best experience, we typically recommend 60-minute crafts & hobbies lessons. However, students looking for a more affordable option may want to consider a shorter lesson length of 45 or 30 minutes. On average, 45-minute crafts & hobbies lessons are 32% less expensive at $54, and 30-minute lessons cost 45% less at $44. Curious how much crafts & hobbies lessons cost in your area? Do a quick search to get local prices for the best crafts & hobbies teachers near Bolingbrook. ower learner. This is my fourth lesson and I have already played a game of chess. Thank You So Much, Thomas. I can't wait until my next lessons." Chicago, IL teacher: Thomas H.
"It's was the first lesson he seems very educated about poker." "Dovile is knowledgeable and patient. She has showed me ways to improve what little I know and move forward." "Just the beginning for a beginner (me) in Poker, and Randy hit the right points to start!" Chicago, IL teacher: Hiro H.
"Dovile is a very nice and knowledgeable teacher and glad we picked her to teach sewing!...Thank YOU Dovile!" Check out some of our most popular teachers near Bolingbrook including Chicago, Naperville, Evanston, Oak Park and Lincolnwood. I learned to sew in Vacation Bible School at my church when I was in 7th grade. I made my first pair of overalls and was on top of the world. That began my love of sewing and all things crafty. Today I love working as a special education teacher. But my first love is teaching beginner and intermediate level sewing to kids and adults. I have two children (1 in college and 1 in 10th grade) and when I'm not working or sewing I help my husband at his sports training facility. ents learn hand and machine sewing, sewing vocabulary and techniques, and various equipment and and safety usage. We host a small, friendly, relaxed setting which is what I find allows children to have the courage to explore, make mistakes, and discover their talents. My Crafty Table isn't just for kids! 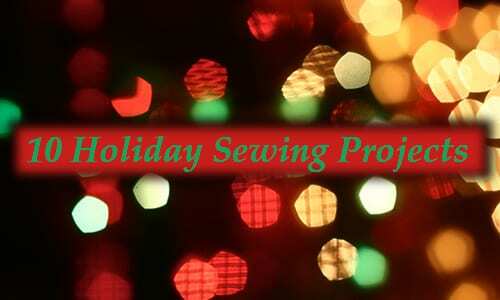 I welcome adults who are looking to learn to sew or enhance their current skills. Whether you are looking to create something to wear or something to beautify your home, we can teach you how to bring your ideas to reality. Our online and live classes utilize commercial patterns, sewing machines, and a variety of supplies based on projects being completed. We guide you every step of the way from selecting materials to recommending supplies. The only question you need to answer now is: SEW what"s next? Felicia is an great teacher. Her training room has everything you need and more. When I first started class, she greeted me with a smile that made me feel comfortable. Her knowledge and experience of sewing is remarkable. Great teacher and great class, if you dont take her class, you are missing out on a true talent. The Instructor was excellent, knowledgeable, professional, friendly & acccomodating. Felicia went so far as to provide s crucial piece of equipment I was missing. my instructor Felicia was fantastic. She was knowledgeable, patient & extremely helpful. I learned so much in the half hour class. She was able to improvise when I was missing an important component to my machine. She truly is a genius. I scheduled another session at the conclusion of my 1st class, but find I must cancel due to physical problems. I am disabled with severe arthritis & her class is on the 3 rd floor. She carried my machine up for me & I made it up the stairs but when I got home later that evening my knees were so swollen I had to ice them & take pain medication. I know I cannot do that again & will let my instructor know it is not het fault. "Good things come to those who know chess." A bit about myself, I started playing chess at the age of 9 and have been playing ever since. I have been apart of several championship teams, and I have achieved many individual honors as well. I currently play chess professionally, teach (k-8) afterschool lessons for Chess Wizards, head instruction for the youth/adult program Rebuild Knights, and I am a member of team Illinois. My lessons include worksheets, gameplay vs. Myself, and a tablet for cpu play and analysis. If you have any questions feel free to ask! Let's schedule your lesson today! I just want to say, "I am very pleased working with Thomas." I never thought that I could master the game of chess especially by being impatient and a slower learner. This is my fourth lesson and I have already played a game of chess. Thank You So Much, Thomas. I can't wait until my next lessons. What an easy going and patient young man. So far, so good! I learned to crochet in grade school, taught myself to knit and learned to sew from my mother at a very early age. Teaching grade school children/students is my passion. I believe learning to knit and sew can help students learn a level of patience and persistence that will help them in their school work. In October, I retook and passed the NCLEX, and I have restored my nursing license to active status. I would love to tutor nursing students of all levels. My professional background is in Pediatrics - especially Pediatric Critical Care. I'm especially passionate about helping nursing students that need help with basic math/algebra. Excellent teacher very patient, I felt really comfortable. Made me just want to get started on the next project. We have only had one lesson, and my daughter (7) keeps asking when Angela comes back - she loved her lesson. Angela is a very patient teacher.